adapted to 1.4.1.1 Tanks of World . The principle of operation of ContourLook Demo, (X-ray) is quite simple. To see the outline of the enemy machine there is no need now to wait for the time-of-sight. 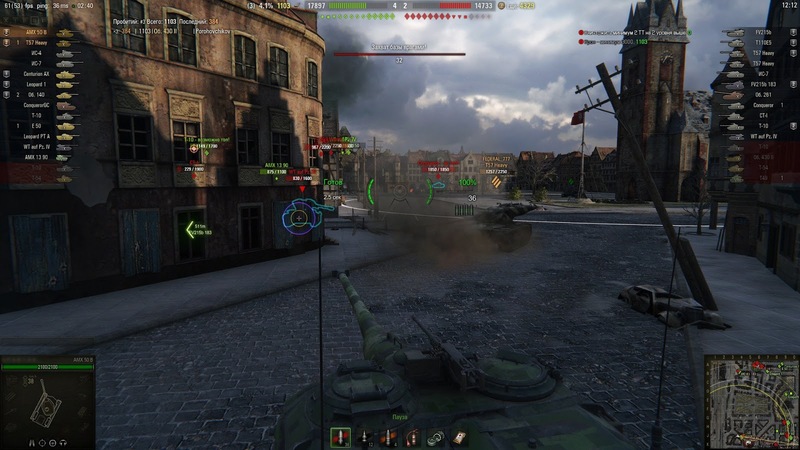 Simply just turn the camera onto the enemy, and tank will be encircled by a gray outline. What is useful from this information? Now you will be able to determine the position of the enemy’s body and see how it was going to tank (housing or caterpillar), where to go, which way to shoot and so on. Any action enemy will take in relation to tank equipment you will see that I will just wait for the moment and make a shot. [ZJ] ContourLook Demo (X-ray) ZorroJan refers to prohibited. You use it at your own risk. quite a good mod? but is this legal?.. It is working. Just download latest file. Tylko ten mod sprawia, że każdy wróg po spocie ma czerwony kontur. A w momencie gdy cały wróg jest widoczny zmienia sie na fiolet. Lecz gdy widać tylko część przeciwnika to jest on czerwony i gdy najedziemy na niego to nadal jest czerwony – przez co nie wiadomo która jego część wystaje i gdzie możemy oddać strzał. Można to zmienić na przycisk?